Why Goodlife Health Clubs Balga? We would like to extend a warm welcome to Fitness First Balga as it becomes part of the Goodlife family. 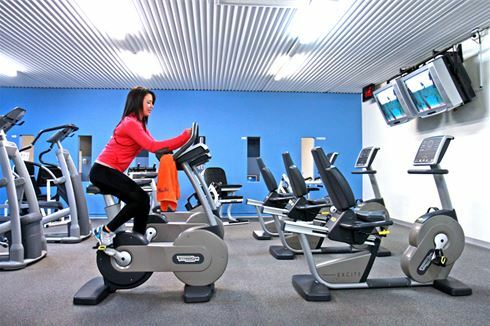 Goodlife Balga gym is part of a proudly Australian-owned company which is one of Australia's largest health club groups with more than 77 clubs across Australia. It’s been our goal to create a welcoming environment where fitness, health, nutrition and wellbeing go hand-in-hand. With over 175,000 members who continue to share in a healthy and active lifestyle, our customer-focused approach at your local Goodlife Balga gym will leave you feeling fantastic, inspired and ready to take on the day. Now’s the time: get up, get moving and get into the 'good life' at your local Goodlife Balga gym. Goodlife Health Clubs Balga is a way of life! We're a community-focused gym with a fun, friendly atmosphere and a team of wonderful staff to help you experience fitness like never before. Goodlife Balga gym provides a complete range of services including popular classes such as Les Mills, Balga Yoga, our knowledgeable and qualified Balga personal training team, our national 12 week challenge, functional training area, on-site childminding, indoor Balga swimming pool and so much more. Goodlife Balga gym is for Real People, designed to ensure you’ll never feel intimidated or on display. Welcome to a great culture and a family friendly Goodlife Balga gym. Our Balga gym offers an extensive range of free-weight and plate-loading equipment. State of the art equipment from Life Fitness in our Balga gym. Our Balga gym has an extensive range of dumbbell and barbell equipment. Our signature cardio theatre setup at Goodlife Balga gym. The Goodlife Balga cardio theatre provides a world of entertainment. Multiple cardio machines so you wait less and train more. Balga gym staff are always on hand to help you with your training. Balga personal trainers can vary your workouts to include cardio boxing. Balga personal trainers can vary your workouts to include strength training. Our dedicated abs and stretch area in our Balga gym. Enjoy a time-efficient workout with the our Goodlife cardio. A comprehensive range of cardio equipment. Enjoy our range of Les Mills classes inc Balga Yoga and Les Mills. Convenient Balga Child Minding services. 1 of only a few Goodlife Clubs in Western Australia to have a indoor swimming pool. Our Balga swimming pool is open for lap swimming, rehabilitation work or just a chance to get wet in the HOT summer months. Join our relaxing range of Balga Aqua classes. Our Balga swimming pool is perfect for lap swimming. The exclusive Balga indoor swimming pool. 1 of only a few Goodlife Clubs in WA to have an indoor swimming pool. Join in on our range of Balga aquatic activities. 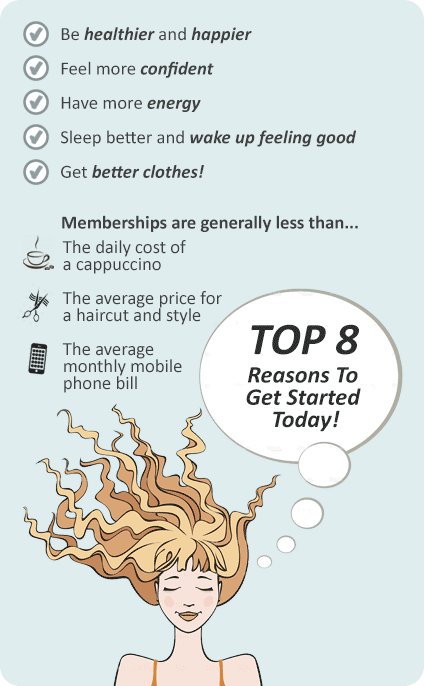 A Goodlife Balga gym membership is all about you and your goals, so we will give you exactly that.